So many books give you advice that turns out to be hollow: "know your audience," "structure your writing." The real strength in Plain Language Legal Writing is how, throughout, Stephens provides clear instructions on how to accomplish what she's recommending. Instead of just telling you to plan what you're going to write, she walks you step-by-step through the planning. Instead of telling you to consider your audience before writing, she describes in detail the sorts of audiences a legal document might have (more than you'd expect!) and how to best meet their needs. 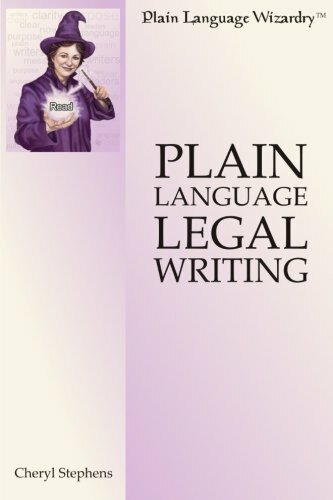 Plain Language Legal Writing will help you produce documents that people are willing to read and able to understand.